Established in March 18, 2015, the John & Katherine Ford Fund, named after deceased parents of Enlightened, Inc. CEO, Antwanye E. Ford. John & Katherine Ford, from North and South Carolina respectively, met in Washington DC where they fell in love and were married. The two of them started an upholstery business and showed their children the value of entrepreneurship. In addition to being entrepreneurs, the Fords taught Antwanye the value of community service. The Fords raised funds for small charities, support children’s programs and were mentors to other small businesses. Antwanye has carried their legacy into his company and his programs. John & Katherine Ford taught Antwanye their motto for life, Luke 12:48 “to whom much is given….much is required”. The John & Katherine Ford Fund serves as a community redevelopment fund, through Believers Temple Word Fellowship’s Foundation located in St. Louis, MO. The fund’s mission is to support small black businesses and early education programs communities directly affected by the unrest that occurred in August, 2014 that negatively impacted many. Over the past year, Antwanye has made half a dozen trips; meeting with community leaders, business owners and various members in the community to develop a long-range, sustainable plan to address critical infrastructure needs to support the redevelopment within the Ferguson Community. The John & Katherine Ford Fund infuses unrestricted funding towards business and education with the aim of engineering critical points within the community. Revenue loss based on riot/fire – [Requires evidence of revenue loss. Tutoring Programs for Youth (parents can request tutors for their children). – [An application process or funding for organizations is provided for this service. One year later, Enlightened, Inc. has donated $25,000 to The John & Katherine Ford Fund for the Ferguson Community. As of today, Antwanye has raised an additional $35,000 through during a reception with a room full of civic minded friends. As communities like Ferguson pull together to continue overcoming challenges faced in August of 2015, it’s the extra help of concerned citizens from abroad that helps accelerate the process, reminding them we care and we unconditionally support their endeavors. Like many other American cities, Ferguson is an integral part of our community whose residents are champions, heroes and good willed citizens like you and I. We are challenging you to join us on the mission of getting us to our goal of $250,000 by August of 2016, which will be awarded in real time on an ongoing basis. Your gift today will help support this initiative as we work to provide critical support in the areas of small business funding and education. 100% of proceeds will directly benefit grantees in the Ferguson Community and are fully tax-deductable. 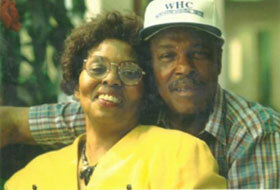 For more information on the John & Katherine Ford Fund, contact BTWF Urban Initiative.